Although I’ve been reading a lot about economics over the last couple of weeks, I decided to take a break from it in the article this week. This time, I wanted to talk about philosophy again for a while. For those who have been reading my blog for a while, you know that I am a Stoic. As I’ve said before, I’m not overly fond of labels, but certainly having read about Stoicism, I realize that it fit my personality and my worldview to a very large extent. I recently starting to listen to a podcast called The Practical Stoic [ http://www.risetothegoodlife.com – This is his website but you can just search “Practical Stoic” through whatever podcast application you use]. Why did I start listening to this podcast? One of the prime tenets of Stoicism is lifelong learning. It is difficult to know how to make the right decisions to lead a virtuous life if one knows nothing. Therefore, in order to be able to make good decisions, knowledge and wisdom are paramount. It is difficult to gain knowledge if one doesn’t engage in learning. Wisdom? That is a different beast, but in my opinion that seems to come from experience and listening to others. A subject for a different day. What I really want to concentrate on in this article is a brief explanation of what philosophy is for and why one would spend precious time studying it. I’ll put in the link [ http://www.risetothegoodlife.com/episode-103-the-true-purpose-of-philosophy/ ] to the podcast where I first heard about this so that those who wish to may listen to it themselves, but I am going to paraphrase what I heard. — Epictetus. The Art of Living: The Classical Manual on Virtue, Happiness, and Effectiveness (pp. 84-85). HarperCollins. Kindle Edition. Like so many things for me, this is something I vaguely knew, or thought I did, but hearing it articulated really drove it home. 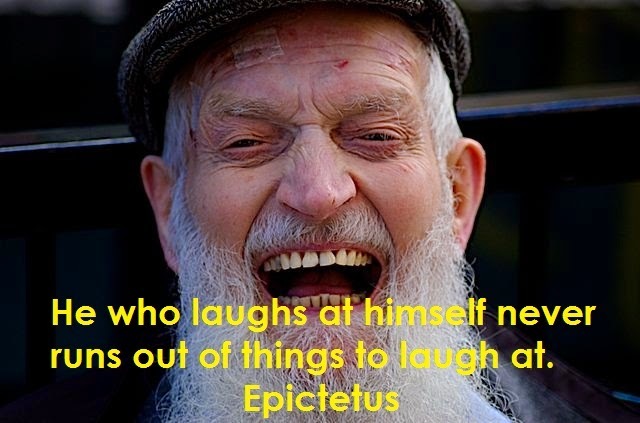 It was based around the below quote from Epictetus. Philosophy’s purpose is to illuminate the ways our soul has been infected by unsound beliefs, untrained tumultuous desires, and dubious life choices and preferences that are unworthy of us. Self-scrutiny applied with kindness is the main antidote. We become philosophers to discover what is really true and what is merely the accidental result of flawed reasoning, recklessly acquired erroneous judgments, well-intentioned but misguided teachings of parents and teachers, and un-examined acculturation. The first portion means to me that philosophy is a tool that we can use for self-examination and for learning. And the last portion of the passage is that one should realize that many of the things that we may believe or think come from sources like these, especially the last one “unexamined acculturation”. Meaning that when we are steeped in our native culture, we often never think to question ourselves about the beliefs or behaviors that come from that conditioning. And we should. We must have the courage and discipline to examine ourselves to see where we have the capability of improving. I don’t beat myself up about what I have done or not done in the past. A singularly useless pursuit. But I do wish that I had discovered Stoicism even 10 years ago. As it was, I had to discover this more or less on my own, once I started to engage in self-study again. And in case anybody missed the point, choosing to learn again is what led me to where I am now. In closing, I do wonder about being able to have the time to do all of this. I understand that in the press of daily life it may be very difficult to take time to ‘study philosophy’. But it doesn’t have to take a long time, nor does it need to consume your life. Using kaizen, start small. A few minutes a day listening to The Practical Stoic podcast might be a good start. Most of his podcasts are less than 10 minutes. But whatever you choose to do, choose to learn something. Find a way to broaden your horizons, indulge in self-examination, deepen your knowledge of the world. You can never go wrong by doing that.